Chromium picolinate provides two major ingredients of the glucose tolerance factor: chromium and niacin. 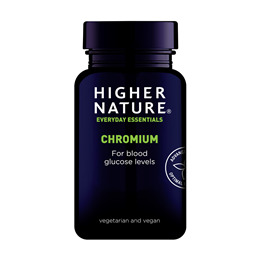 Chromium is a constituent ingredient of what is called the Glucose Tolerance Factor. It works closely with insulin to facilitate the uptake of glucose into cells. Chromium picolinate may help support and maintain healthy glucose levels in the blood. If you have low levels of chromium, blood sugar levels could stay elevated because the action of insulin is blocked so that glucose is not transported into the cells. 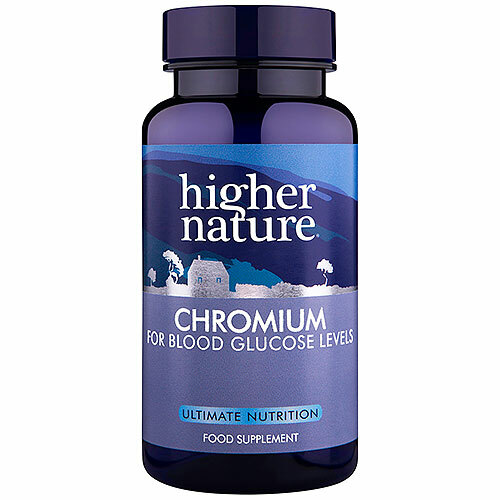 Chromium is an essential trace mineral that helps the body maintain normal blood sugar levels. Tableted with natural ingredients; Lithothamnion calcarea, vegetable magnesium stearate, silicon dioxide, zein protein coating. Adults: Take 1 tablet a day, with a meal. Children: Take 1 tablet every other day, with a meal. Below are reviews of Chromium - 90 x 200mcg Tablets by bodykind customers. If you have tried this product we'd love to hear what you think so please leave a review. Supports normal glucose metabolism. Provides two major ingredients of the glucose tolerance factor (GTF): Chromium and Niacin (nicotinic acid).